Corporate headshots and portraits have become essential to today’s workplace. Often a business will want to publicise an announcement or a recent corporate event, or simply update their employee’s Linkedin profiles. 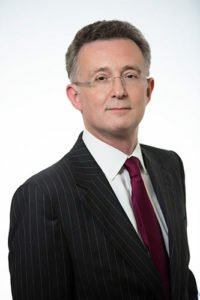 Corporate headshots have become essential to high level businesses these days. People also recognize that professional looking corporate portraits will only add to a company’s profile, and pass over to client confidence. Some businesses like to have their employees have a presence on Linkedin, as well as their own websites. Often, a company will like to introduce their staff, within a section of their website such as ‘meet the team’. It is important that their employees represent the company well, and that their headshots all have a matching professional style. Nothing looks worse than when a company has unprofessional headshots on their website. If a company looks like they care about their image, not to mention their staff, and how they are represented in the outside world, this will in turn pass over to the client trust. For this reason, it is of utmost importance that a company has up to date professional headshots. The corporate world of business these days calls on good photographers more and more to represent them in a strong and professional manner. Whether it be for press and business magazines, or for Linkedin profiles and websites, the link between a professional confident look, and good business is unquestionable. Why hire a photographer – Jimmy has a professional camera!